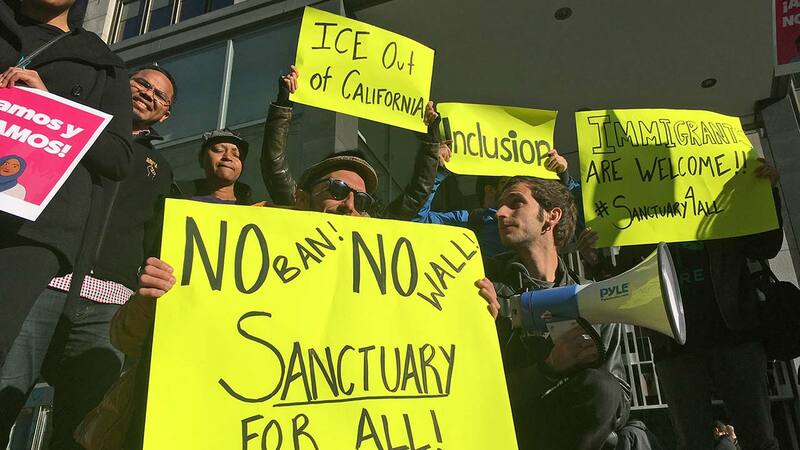 SAN FRANCISCO -- A federal judge on Tuesday blocked a Trump administration order to withhold funding from communities that limit cooperation with U.S. immigration authorities, saying the president has no authority to attach new conditions to federal spending. "It's not like it's just some small amount of money," John Keker, an attorney for Santa Clara County, told Orrick at the April 14 hearing. Chad Readler, acting assistant attorney general, said the county and San Francisco were interpreting the executive order too broadly. The funding cutoff applies to three Justice Department and Homeland Security Department grants that require complying with a federal law that local governments not block officials from providing people's immigration status, he said. Republican President Donald Trump was using a "bully pulpit" to "encourage communities and states to comply with the law," Readler said. In his ruling, Orrick sided with San Francisco and Santa Clara, saying the order "by its plain language, attempts to reach all federal grants, not merely the three mentioned at the hearing." "The rest of the order is broader still, addressing all federal funding," Orrick said. "And if there was doubt about the scope of the order, the president and attorney general have erased it with their public comments." He said: "Federal funding that bears no meaningful relationship to immigration enforcement cannot be threatened merely because a jurisdiction chooses an immigration enforcement strategy of which the president disapproves." The Trump administration says sanctuary cities allow dangerous criminals back on the street and that the order is needed to keep the country safe. San Francisco and other sanctuary cities say turning local police into immigration officers erodes trust that's needed to get people to report crime. They also said Trump's order applied to local governments that didn't detain immigrants for possible deportation in response to federal requests, not just those that refused to provide people's immigration status. The Department of Justice responded that the city and county's lawsuits were premature because decisions about withholding funds and what local governments qualified as sanctuary cities had yet to be made.